These terms and conditions apply to Registered Users (defined below) of the British Small Animal Veterinary Association (Company Number 02837793) (‘BSAVA’) using the BSAVA’s Website (defined below). 1.2 “Confidential Information” means any information that is proprietary or confidential which is expressly identified as such by the Party making the disclosure. 1.3 “Intellectual Property Rights” means patents, rights to inventions, copyright and related rights, trade marks, business names and domain names, rights in get-up, goodwill and the right to sue for passing off, rights in designs, database rights, rights to use, and protect the confidentiality of, confidential information (including know-how) and all other intellectual property rights, in each case whether registered or unregistered and including all applications and rights to apply for and be granted, renewals or extensions of, and rights to claim priority from, such rights and all similar or equivalent rights or forms of protection which subsist or will subsist now or in the future in any part of the world. 1.4 “Party” or “Parties” means the BSAVA and/or the Registered User, as applicable. 1.5 “Password” means the password in respect of a unique Username created by (as the case may be you which would allow you to gain access to the Registered User Services. 1.7 “Registered User” means you who have duly completed the free Registered User registration process and who have successfully created a Username and Password. 1.8 “Registered User Services” means the Registered User’s services defined in Condition 2.1 which are accessible by a Registered User from the Website. 1.10 “Supply Period” means the period commencing on the date on which the Order is completed and in relation to each Publication shall continue (subject to the provisions for earlier termination contained in these terms) for a period of 2 years. 1.11 “Username” means a unique username created by (as the case may be) you, which, when the relevant Password is entered will grant such you access to the relevant Registered User Services. 1.12 “Website” means www.bsava.com, www.bsavalibrary.com or such variations to the names of the aforesaid domain names. 1.13 You warrant that you are at least 18 years of age and that you are the person whose details have been incorporated into the relevant registration form as part of the process of registering (as the case may be) to be a Registered User. 1.14 The authority to access the Registered User Services commences upon the relevant Username and Password being successfully created by the Registered User and ends if these terms and conditions are terminated under Condition 9. 2.1 In order to make any purchases from the Website and/or access certain sections on the Website (‘Registered User Services’), you will need to register as a Registered User of the BSAVA on the Website. 2.2 Upon duly completing the relevant registration process and creating a Username and Password, you will be registered as a Registered User of the BSAVA (which is free of charge). 2.3 By completing the Registered User registration process and by clicking on the [“I Accept”] button, you acknowledge that you have read and agree to be bound by these terms and conditions. 2.4 Details of your Username and Password will be emailed to you at the email address provided during the Registered User registration process. 2.5 The authority to access the Registered User’s Services commences upon the relevant Username and Password being successfully created by you and ends if terminated pursuant to Condition 9. 2.6 You are solely responsible for the security of your Username and Password and must not disclose your Username and/or Password to anyone. You must inform the BSAVA immediately if your Username and/or Password have been compromised. In such a case, the BSAVA will reset your Username and/or Password for you. In this regard, please contact the BSAVA at [email protected], +44 (0)1452 726700. 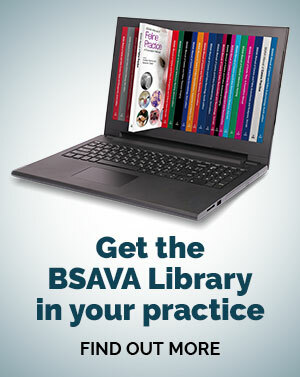 3.1 Registered Users may purchase one-off access or subscription access to the Publications by completing an on-line order via the BSAVA Website (‘Order’). 3.2 The Registered User named in an Order offers to enter into an agreement with the BSAVA for the purchase of one-off access or subscription access to the Publication(s) detailed in the Order at the price stated in the Order and subject to these terms and conditions. 3.3 Following receipt of an Order, the BSAVA will notify the Registered User named in the Order if, for any reason, it does not accept and process the Order. The BSAVA reserves the right to reject any Order. 3.4 If the BSAVA accepts an Order the BSAVA will confirm such acceptance to you by email and, on the BSAVA sending a confirmation email to you an agreement for the digital supply of the Publication(s) selected by you in your Order (or, if applicable, to be made available to you as part of your subscription) will be created between you and the BSAVA. 3.5 Orders are irrevocable and payments are non-refundable. 3.6 If you are a consumer located in the European Union (i.e. if you are not an organisation or an individual acting wholly or mainly within your trade, business craft or profession), you have a legal right to cancel contracts entered into with the BSAVA at a distance (e.g. contracts entered into via the internet, phone or email) under the Consumer Contracts (Information, Cancellation and Additional Charges) Regulations 2013 ("Consumer Contracts Regulations") implementing the Consumer Rights Directive 2011/83/EU. Under the Consumer Contracts Regulations, subject to certain exceptions, if you ordered digital content you can cancel your order within 14 days from the day of conclusion of the contract ("Cancellation Period") and receive a refund, unless you have expressly consented to the digital content to be supplied to you before the end of the Cancellation Period, and you acknowledged that you would lose your cancellation rights. 3.7 To the extent that the Consumer Contract Regulations apply to these terms and conditions, by placing your Order with the BSAVA for access to the Publications, you are hereby requesting that the BSAVA supply digital content from the time of your Order and in doing so, you acknowledge that you will lose your cancellation rights. 3.8 Access to Publications may be granted to you free of additional charges by the BSAVA as part of your BSAVA membership package. Any such Publication will be identified in your BSAVA membership documents. 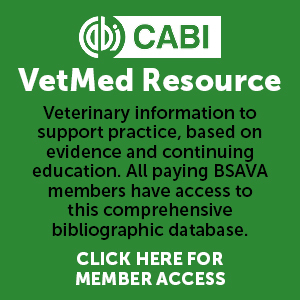 4.1 The BSAVA grants you the non-exclusive and non-transferable right to access and use the Publication(s) selected in your Order (or, if applicable, made available as part of your subscription) throughout the Supply Period for the purposes of teaching, research, and private study. Any references to Publication(s) in these terms and conditions shall mean the Publication(s) selected in your Order. 4.2.3 print out single copies of parts of the Publication(s). 4.3.5 use all or any part of the Publication(s) for any Commercial Use. 5.1.3 use the relevant Registered User Services and/or information extracted or downloaded for any illegal, fraudulent or immoral purposes. 5.2 You agree to notify the BSAVA immediately of any errors or inaccuracies in respect of any information and/or data extracted from any section of the Website which forms part of the Registered User Services. In this regard, you shall contact the BSAVA by emailing the BSAVA at [email protected], +44 (0)1452 726700. 5.3 You acknowledge that the BSAVA and the BSAVA’s licensors own all Intellectual Property Rights (“IPRs”) in the Website and in the Publications. Nothing in these terms and conditions transfers any Intellectual Property Rights in the Website or the Publications to the Registered User. 6.1.3 that you shall give the BSAVA all information and assistance reasonably necessary (at the BSAVA’s expense) to defend or settle such claim and you shall not compromise or settle such claim. 6.2 The BSAVA reserves the right to update and/or make changes to the Registered User Services and/or the Publications from time to time at its sole discretion. 6.3 The BSAVA shall use all reasonable efforts, subject to Condition 9.3, to make the Publication(s) available by means of the World Wide Web to you throughout the Supply Period. 6.4 The BSAVA does not guarantee or warrant that the Publication(s) will be made available for a period any longer than the Supply Period or that the Registered User’s access to Publications will be uninterrupted or error-free. 7.2 Each Party shall hold the other's Confidential Information in confidence and, unless required by law, not make the other's Confidential Information available to any third party, or use the other's Confidential Information for any purpose other than those contemplated under this Agreement. 7.3 Each Party shall use reasonable endeavours to ensure that the other's Confidential Information to which it has access is not disclosed or distributed in violation of the terms of this Agreement. 7.4 This Condition 7 shall survive the termination of these terms and conditions. 8.1 The BSAVA gives you no warranty or assurance, except as set out in Condition 6 above. You acknowledge that all implied warranties and conditions are excluded to the maximum extent permitted by law. 8.2 This Condition 8 sets out the BSAVA’s entire financial liability (including any liability for the acts or omissions of BSAVA’s employees, agents and sub-contractors) to you in respect of any breach of these terms and conditions, any use made by you of the Registered User Services; and any representation, statement or tortious act or omission (whether negligent or otherwise) arising under or in connection with these terms and conditions. 8.3 Subject to Condition 8.4 and unless you are a consumer, except as expressly and specifically provided in these terms and conditions, the BSAVA excludes all liability for any loss or damage including consequential loss, loss of business, loss of good will, loss of data, waste of management time, loss of opportunity arising from the Registered User Services. 8.4 Notwithstanding any provisions in this Agreement, the BSAVA does not exclude liability for death or personal injury which is due to the BSAVA’s negligence, fraud and/or fraudulent misrepresentation. 8.5 Subject to Conditions 8.3 and 8.4 and any other applicable trading terms of the BSAVA, unless you are a consumer the BSAVA’s maximum liability for any loss arising from the BSAVA’s breach of these terms and conditions and/or the Registered User or negligence shall be limited to the lesser of £100 or the refund of the value of an Order made by the Registered User. 9.1 These terms and conditions may be terminated immediately by the BSAVA without notice if you are in material breach of any of these terms and conditions. 9.2 You may terminate these terms and conditions at any time by giving the BSAVA 14 days prior written notice by contacting the BSAVA at [email protected], +44 (0)1452 726700. 9.3 The BSAVA reserves the right at any time on 30 days’ notice to the Registered User to terminate of the provision of any Publication(s) due to their ceasing publication. 9.4 On termination of these terms and conditions for any reason, you will no longer be able to use any of the Registered User Services or access the Publication(s). 9.5 The termination of these terms and conditions shall not affect or prejudice the accrued rights of the Parties as at termination, or the continuation after termination of any provision expressly stated to survive or implicitly surviving termination. 11.1 These terms and conditions are not intended to benefit anyone other than the Parties to it and, in particular, no provisions of this Agreement shall be enforceable under the Contracts (Rights of Third Parties) Act 1999 by a third party and the rights under it may not be assigned or sublicensed. 11.2 If any provision (or part of a provision) of these terms and conditions is found by any court or administrative body of competent jurisdiction to be invalid, unenforceable or illegal, the other provisions shall remain in force. 11.3 If any invalid, unenforceable or illegal provision would be valid, enforceable or legal if some part of it provisions are deleted, the provision shall apply with whatever modification is necessary to give effect to the commercial intention of the Parties. 11.4 These terms and conditions shall be governed under the law of England and Wales and the Parties submit to the exclusive jurisdiction of the courts of England and Wales.